You may think of a plane as your main mode of transport when going on vacation, but unless you want to spend all your cash quick, skip over awesome hidden spots, and unpack and pack up again every other few days, you might want to change your way of thinking. Or traveling for that matter. Campervanning is the best way to see vast countries, hands down. Take over the open road and explore more. What are you waiting for? Get to packing for a campervan trip. Here are the four best countries to conquer with your campervan. For the nature lovers who want it all, and mean everything, New Zealand is the spot. If you are the type who crave the sand and the sea, you got it. You hate the sand and are all about the snow capped mountains? OK winter sports are covering the snowy mountains; snowboarding, skiing, or just making the casual snowman. Into hiking? Yep. That’s here too. Want a refreshing swim in the chilly waters of a stunning waterfall? No problem. Seriously, what else is there? Because if we missed something, I’m sure New Zealand still has it. With Mother Nature sprouting up her most majestic scenery, you can be sure that you, the family, and your campervan will have plenty of terrain and roads to cover here. The fees for overnight campervans usually come at a very reasonable price too, so feel free to splurge elsewhere. Just hopping over to the neighboring country, Australia is a haven for any traveler, but especially for those who love the open road. The buses and planes here can be quite pricey at times, so packing everything and everyone in your campervan is actually the best way to travel and really, and we mean really, see this beautiful country. Campervan parking here is also pretty reasonable, especially when comparing it to a crappy hotel room. You can expect to pay under $50 Australian dollars for getting your vehicle in a comfy parking spot for the night. Not to mention your sturdy hardcase luggage from Luggage Direct will be safe and sound in your campervan, no need to unpack and repack. 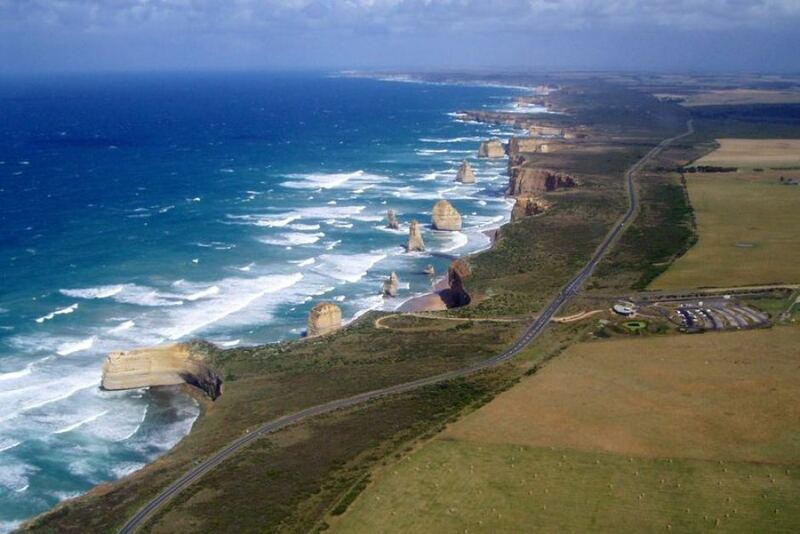 The Great Ocean Road is probably one of the most stunning and popular roads to ride down and when you’re in your own campervan, and you can stop along the way to your hearts content. Another wilderness loving country with a plethora of attractions, beautiful nature, and of course, roads that are just perfect for making those long campervan road trips. The Great Lakes and the Rockies are two destinations that you probably just won’t be able to leave without taking a gander at. For a wilderness drive like no other, the Alaskan Highway is a popular road to conquer with you behind the wheel, and the awesome surroundings. If you have noticed, many of the countries listed already are some of the pricer countries of the world. That’s why campervanning these spots are really essential unless your budget is bursting out of your hands and almost unlimited. Hotels in these countries can cost a pretty penny, and unfortunately, your room might not be as pretty. The USA is no exception, so getting on the road in your own vehicle is the best way to see all the spots you wish. The Grand Canyon, the deep-blue caldera of Crater Lake, Glacier National Park, Big Sur, California… All of these amazing places and more, all with safe and open roads, and of course, all with epic vistas of the vast and varietal states of the USA at your fingertips. Arrange your Campervan hire at competitive rates from Amber Motorhome Hire.